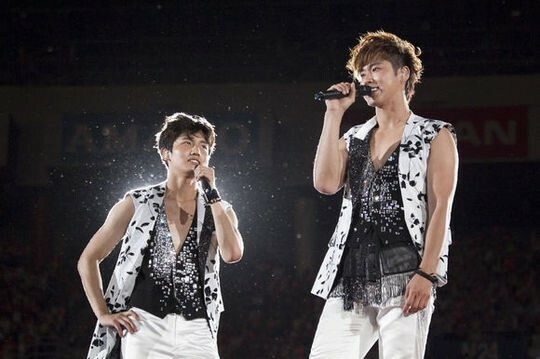 TVXQ have topped the Oricon charts for three straight days with their Japanese tour DVD. According to the Oricon Charts, TVXQ’s ‘LIVE TOUR 2013 ~TIME~’ DVD has topped the overall DVD daily charts for three straight days since being released. The DVD was first released on the 23rd and sold 92,623 copies on the first day, topping the music DVD and overall DVD daily charts. The DVD features live footage from TVXQ’s Tokyo Dome performance in June and shows just how exciting their Five Dome Tour in Japan was. TVXQ held the finale of their tour in Yokohama’s Nissan Stadium for 72,000 fans on the 18th of August, and attracted a total of 850,000 fans to their 18-concert tour. Meanwhile, 2PM’s ‘Winter Games’ ranked 5th on the Oricon singles daily charts.